Prize-winning author Jacinto Lucas Pires has written a dream of a book—part murder mystery, part satire, & part hallucination. "The favored prostitute of Lisbon’s rich and powerful has been found dead amid austerity protests in Portugal, and down-on-his-luck actor Americo Abril, who has just won the role of a lifetime playing Paul Giamatti in the avant-garde film Being Paul Giamatti, is the prime suspect. 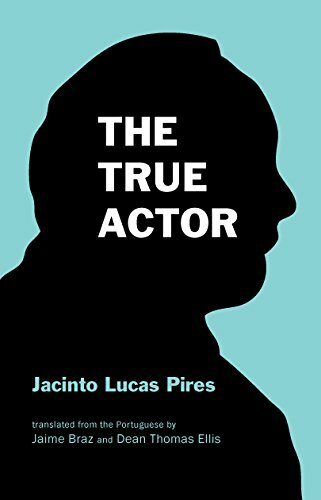 The True Actor, the English debut by award-winning Portuguese author Jacinto Lucas Pires, manages both a postmodern boondoggle and a touching story of identity and love and loss in austerity-era Portugal." Portugal, 1711. The Portuguese king promises the greedy prelates of the Church an expansive new convent, should they intercede with God to give him an heir. A lonely priest works in maniacal solitude on his Passarola, a heretical flying machine he hopes will allow him to soar far from the madness surrounding him. A young couple, brought together by chance, live out a sweet, if tormented, romance. Meanwhile, amid the fires and horrors of the Inquisition, angry crowds and abused peasants rejoice in spectacles of cruelty, from bullfighting to auto-da-fé; disgraced priests openly flout God’s laws; and chaos reigns over a society on the brink of disaster. Weaving together multiple story lines to present both breathtaking fiction and incisive commentary, renowned Portuguese writer spins an epic and captivating yarn." "For the first time—and in the best translation ever—the complete Book of Disquiet, a masterpiece beyond comparison. 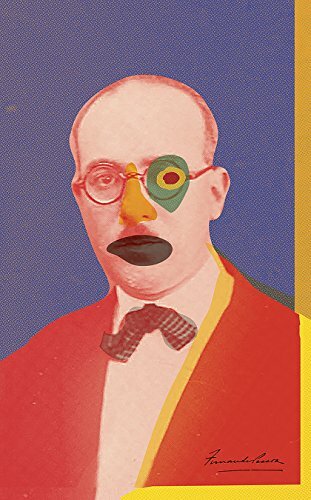 The Book of Disquiet is the Portuguese modernist master Fernando Pessoa’s greatest literary achievement. 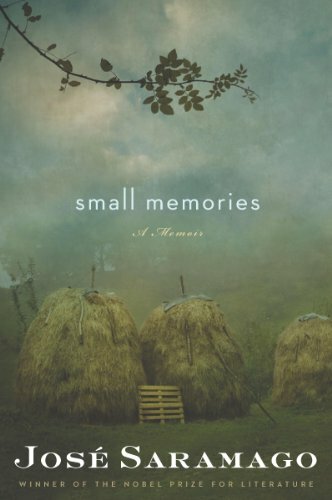 An 'autobiography' or 'diary' containing exquisite melancholy observations, aphorisms, and ruminations, this classic work grapples with all the eternal questions. Now, for the first time, the texts are presented chronologically, in a complete English edition by master translator Margaret Jull Costa. Most of the texts in The Book of Disquiet are written under the semi-heteronym Bernardo Soares, an assistant bookkeeper. This existential masterpiece was first published in Portuguese in 1982, forty-seven years after Pessoa’s death. A monumental literary event, this exciting, new, complete edition spans Fernando Pessoa’s entire writing life." "In an unnamed Portuguese village, against a backdrop of severe rural poverty, two generations of men and women struggle with love, violence, death, and—perhaps worst of all—the inescapability of fate. 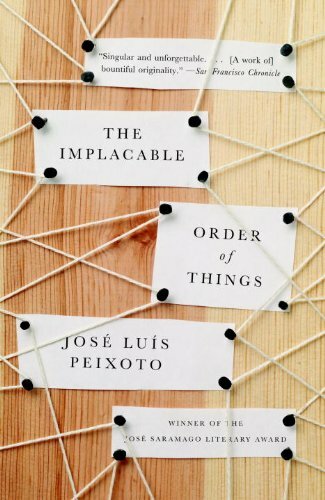 A pair of twins conjoined at the pinky, a 120-year-old wise man, a shepherd turned cuckold by a giant, and even the Devil himself make up the unforgettably oddball cast of The Implacable Order of Things. As these lost souls come together and drift apart, José Luís Peixoto masterfully reveals the absurd, heartbreaking, and ultimately bewitching aspects of human nature in a literary performance that heralds the arrival of an astoundingly gifted and poetic writer." "The Lázaro family are carpenters who would rather be piano-makers. In the dusty back room of their carpentry shop in Lisbon is the 'piano cemetery', filled with broken-down pianos that provide the spare parts needed for repairing and rebuilding instruments all over the city. It is a mysterious and magical place, a place of solace, a dreaming place and, above all, a trysting place for lovers. Peixoto weaves the tragic true story of the marathon-runner, Francisco Lázaro, into a rich narrative of love, betrayal, domestic happiness and dashed hopes." 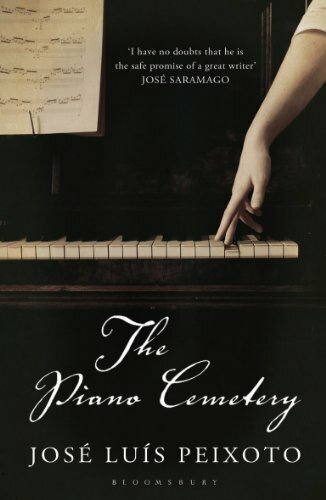 A mix of literature, magical realism, & romance, the Piano Cemetery is loosely—very loosely—based upon the life of the first Olympic contestant to die during an event. With dreamlike sequences & narrations by both the Olympian & his dead father, the author showcases a different kind of contemporary fiction. 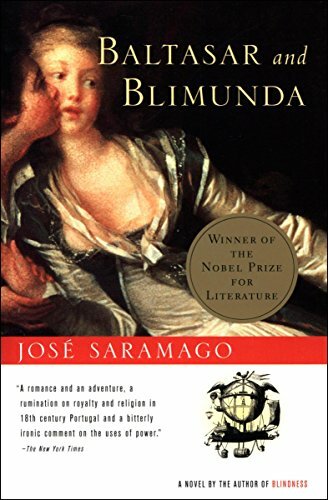 Written by the Portuguese recipient of the 1998 Nobel Prize in Literature in his trademark sinuous writing style filled with uniquely long sentences & digressions, José Saramago recounts his early days as snippets of reminiscences that flow from one topic—and time period—to another. "José Saramago was eighteen months old when he moved from the village of Azinhaga with his father and mother to live in Lisbon. But he would return to the village throughout his childhood and adolescence to stay with his maternal grandparents, illiterate peasants in the eyes of the outside world, but a fount of knowledge, affection, and authority to young José. Shifting back and forth between childhood and his teenage years, between Azinhaga and Lisbon, this is a mosaic of memories, a simply told, affecting look back into the author’s boyhood: the tragic death of his older brother at the age of four; his mother pawning the family’s blankets every spring and buying them back in time for winter; his beloved grandparents bringing the weaker piglets into their bed on cold nights; and Saramago’s early encounters with literature, from teaching himself to read by deciphering articles in the daily newspaper, to poring over an entertaining dialogue in a Portuguese-French conversation guide, not realizing that he was in fact reading a play by Molière."